Join us for a night you wonâ&#x20AC;&#x2122;t forget! Northwest Arkansas Tourism Association P.O. Box 2865 Bentonville, AR 72712 NorthwestArkansas.org This publication may not be reproduced in whole or in part without permission. Contents ÂŠ 2019. All rights reserved. 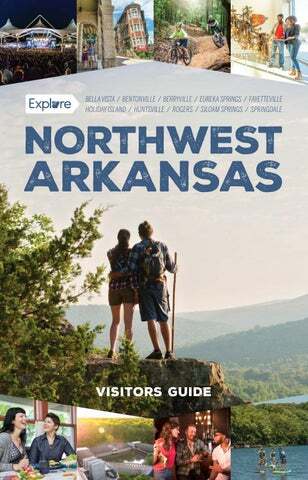 The Northwest Arkansas Tourism Association (NATA) is the official nonprofit organization established for the purpose of encouraging and stimulating tourism travel and vacation business to and within the Northwest Arkansas region. It is one of 12 regional associations in the state created by the Arkansas Department of Parks & Tourism, and includes Benton, Washington, Carroll and Madison counties. In addition to promoting the Northwest Arkansas region overall, NATA also represents, promotes and markets the four-county areaâ&#x20AC;&#x2122;s many attractions, destinations and tourism entities. To learn more, visit NorthwestArkansas.org. Come indulge in a serious case of wanderlust! Welcome to Northwest Arkansas! You've arrived in a place unlike any other. Artsy, historic, hip and vibrant, we offer unparalleled access to Mother Nature, travel-worthy arts and culture, a booming craft brew scene, the largest outdoor music venue in the state, and miles upon miles of internationally ranked cycling trails. programming into the next decade. best places to live and visit. interactive museum for children and families. fests, art strolls and outdoor music festivals. scene is steeped in locally grown tradition. thousands of people from around the world. rally is the largest rally of its kind in the U.S.
an inaugural Regional Ride Center. this region a mountain bikers’ paradise. Illinois River at the Siloam Springs Kayak Park, or float the nearby Buffalo River â&#x20AC;&#x201C; Americaâ&#x20AC;&#x2122;s first national river. Enjoy fishing, boating and water sports on Beaver Lake, or visit parks in Pea Ridge and Prairie Grove where Civil War battles were fought. Influential artists and politicians have called Northwest Arkansas home, including poet Miller Williams, architect E. Fay Jones, and former U.S. President Bill Clinton and Secretary of State Hillary Clinton, whose first home together is now the Clinton House Museum. Scenic tours from Springdale to Van Buren with a layover for lunch and shopping in the historic district... or scenic tours from Van Buren to Winslow. Check our specials throughout the year. exciting region and why more than a half a million people call us home! riders back to their roots. more miles – is being built. THE BEST-KEPT SECRET IN THE OZARKS! Experience that hometown feeling you’ll find only in Berryville, Arkansas, close to everywhere you want to be in “The Best-Kept Secret in the Ozarks!” The Heart of the Ozarks! Stop in and discover why Berryville is the hidden gem of Arkansas! restaurants fill the town’s many elaborate Victorian gingerbread storefronts. The culinary offerings on tap are plentiful, including American, Bavarian, Chinese, Italian, Mexican and Thai. meet, and free spirits thrive. powerhouse — brings artists and entertainers from all over the world, with largescale touring productions including critically acclaimed Broadway plays and musicals. views of the valley below. on great food could easily happen in Fayetteville. beverages that are perfect for gluten-free diets! Spacious rental homes, condos, cabins and a motel provide accommodations for visitors. playground equipment including handicap swings, an amphitheater, picnic tables, a walking trail, ball fields, soccer fields and covered pavilions. The nearby Kings River, one of the few remaining pristine free-flowing rivers in the country, is a beautiful float any time of year. Explore the outdoors at War Eagle Creek, Sweden Creek Falls, Arkansas Natural Heritage areas and Withrow Springs State Park. Groups can enjoy the Ozark Natural Science Center, a field-science attraction with hands-on activities, guest lodging and miles of trails. Hike to an iconic overlook above Lee Creek Valley, enjoy a peaceful float along War Eagle Creek, walk the grounds of an actual Civil War battlefield, and explore the diverse habitat at Arkansas’s largest state park. treehouse climbing, and almost any outdoor activity you can imagine. and soccer parks. Indoor adventure can be found just across the state line at the Cherokee Casino. This year, the city will unveil two new amenities opening in the spring. City Lake Park features mountain bike trails, a pump track, walking trails, a nature observatory, disc golf and lake recreation. Also opening is Memorial Park, surrounding the public library. This park includes the Veterans Memorial, a water feature, a farmers market, a demo kitchen, terraced amphitheater seating and an outdoor stage area. 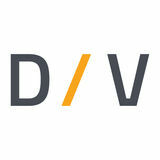 is a center of economic growth and endless visitor entertainment. The city boasts a diverse economy including agriculture, manufacturing, technology and the service sector. premier family recreational and meeting venue, is home to the region’s only indoor ice rink and the recently finished Runway Bike Park. Discover something new in Bella Vista. NORTHWEST ARKANSAS has a diverse and sophisticated arts scene that includes an American art museum with international appeal, makers of fine Ozark crafts, acclaimed sculptors and painters, a national film festival, emerging opera stars, traveling Broadway shows, live community theater, arts festivals and more. MUSEUMS & VISUAL ART GALLERIES Explore Northwest Arkansas’ art museums and galleries and discover works by local artists as well as those from across the globe. Several cities also host monthly art events and gallery receptions in their downtown districts. house designed in 1954 by Frank Lloyd Wright, and the Fly’s Eye Dome, designed by American inventor R. Buckminster Fuller. When you visit, enjoy award-winning High South cuisine in Eleven, the museum’s restaurant. Also watch for the museum’s new contemporary visual and performing arts venue, The Momentary, opening in early 2020.
solo and collaborative work of JBU students. contemporary art museum and cultural civic center. It has more than 12,000 square feet of exhibition, meeting and event space. The iconic Green Penguins show up throughout the building, including at the popular onsite restaurant The Hive. galleries, Art Ventures is a non-profit organization that showcases regional art and serves the community as a venue for musical, literary and dramatic performances. Art exhibitions change monthly, and opening night receptions are held on the first Thursday of each month from 5 p.m. to 9 p.m.
12103 Hazel Valley Road, Fayetteville terrastudios.com 479-643-3185 or 800-255-8995 This whimsical art park is home to the world-famous Bluebird of Happiness, and the gallery boasts works by more than 100 regional artists. See glass demos, explore, shop, shop, snack, play, create and relax. Open 10 a.m. to 5 p.m. daily; free admission. 116 Fine Arts Center, Fayetteville art.uark.edu / 479-575-7987 Part of the J. William Fulbright College of Arts and Sciences at the University of Arkansas, the gallery features student works as well as work by visiting artists and faculty. Parking available in Stadium Drive Parking Facility. studio and more. Open every day except Tuesdays, Thanksgiving, Christmas Eve, Christmas and New Year's Day. CCCâ&#x20AC;&#x2122;s new traveling clay studio. to professional local and regional artists. PERFORMING ARTS Community theater, dinner theater, traveling Broadway shows, symphony orchestras, headliner concerts, summer opera festivals and more make up the flourishing performing arts offerings in Northwest Arkansas. music to more than 190,000 people annually. from rock to country to pop and beyond. capacity and improved visitor experience. On Scenic Hwy 12, 21 miles southwest of Eureka Springs, 15 miles east of Rogers Experience the Moonshine New Attraction! Mystery Shack! Find the Lost Indian Tribes in our Lost-in-the-Woods Maze and Pan for Gems at the War Eagle Mining Co.
lighting and sound effects on a large outdoor stage. The Institute of Outdoor Drama named it America’s #1 Attended Outdoor Drama. biking trails and a buffet restaurant. theater offering a year-round season, staging award-winning plays and musicals in an intimate space. The company moves to a new $34 million venue in June 2019. TheatreSquared was recognized by the American Theatre Wing, founder of the Tony Awards, as one of the nation’s ten most promising emerging theaters. centered approach to the performing arts. on the downtown Fayetteville square. programming to engage people of every age and background to create a vibrant and cohesive community. offers special events throughout the year. 2000 W. University St., Siloam Springs jbu.edu / 479-524-9500 Located at John Brown University and home to the 500-seat Herklotz Auditorium, BPAC has a full orchestra pit and a 1,500-square-foot performance area with modern, innovative acoustic technology for orchestral concerts, choral concerts, theatrical productions, lectures and more. Northwest Arkansas’s only dedicated children’s and youth theatre company. and the Carnegie Hall Link Up program. Inspiration Point Fine Arts Center. Its 69th season will kick off June 21 and run through July 19, 2019.
typically spans fall through spring. well as for other community performances. Serving the Ozarks since 1928, the City Auditorium is thriving. EVENTFUL ARTS Music, drama, visual and culinary arts meld together for unique art-based events taking place throughout the year in Northwest Arkansas. diversity of the American landscape. culinary and family friendly activities. Fridays, so don’t miss it! its leadership. BFF provides a platform to significantly increase the commercial value of content produced by minorities and women. The festival is set for various locations around Bentonville on May 7-11, 2019.
by artists – The White Street Walk. downtown square into a vibrant festival atmosphere. Each month’s festivities follow a specific theme and feature visual artists, live music, street performances, children’s activities, food trucks, a craft beer garden and more. Festivities are free and take place May through October, from 5 p.m. to 8:30 p.m.
ARTOSPHERE: ARKANSAS’ ARTS AND NATURE FESTIVAL waltonartscenter.org 479-443-5600 This annual festival across NWA celebrates artists, influenced by nature, who inspire us to live more sustainable lives. This year’s festival in June will offer low cost and free events featuring dance, symphony, visual art, live chamber and folk music, family activities, workshops, community conversations and more. spot. Local, regional and national artists play on multiple stages downtown, with the main headliners featured each evening. The festival hosts nationally known chefs and restaurateurs, special tastings and culinary events that utilize ingredients and products that are locally grown and produced in the Ozarks. 18 at Walton Arts Center in Fayetteville. the center’s arts education programming. Auditorium, and music in Basin Spring Park. while strolling and shopping downtown. Bring your instruments and join the pickin’! in various venues around Eureka Springs. Music Festival will be held on July 4-6, at The Farm in Eureka Springs. around the downtown Fayetteville square. Exploring the great outdoors in the Northwest Arkansas Ozarks means seeing the sun come up over a foggy river as you cast your line for trout, the wind against your face as you zipline through a hardwood forest, or the thrill of speeding across a lake in a bass boat. It can be the exhilaration of hiking and biking challenging trails, watching eagles soar, paddling through whitewater, or relaxing by a campfire. There are countless ways to renew your spirit and connect with nature. LAKES & RIVERS Northwest Arkansas is blessed with rich scenery and numerous lakes and rivers that make this area a paradise for a multitude of outdoor activities. by forests, tall bluffs and meadows. riding trails and cabin rentals. piers are adjacent to the marina. with numerous guides and outfitters to serve tourists. the campground overlooks Table Rock Lake. in both Carroll and Madison counties. showers, pavilions and horseshoe pits. It is within minutes of the marina, golf courses, and the many amenities of Holiday Island. Excellent whitewater is found on this 55-mile river that was designated a National Wild and Scenic River in 1992. With easy access from the nearby Pig Trail Scenic Byway, much of the river is within the 1.2-million acre Ozark National Forest with several public campgrounds along its course. Siloam Springs, enhancements that are part of the Siloam Springs Kayak Park have made the Illinois a nice Class II play spot for kayakers year-round. LAKE ATALANTA 500 E. Walnut St., Rogers rogersar.gov Paddle, pedal, fish or hike at Lake Atalanta. Thereâ&#x20AC;&#x2122;s much to be explored in the vicinity including walking and mountain biking trails, pavilions, fishing piers, boat ramps, a raised walkway over the lake, playgrounds, and even a tree house. STATE PARKS The State Parks in our region let you experience the best of Mother Nature and the great outdoors. 11333 Ark. Hwy. 74, West Fork arkansasstateparks.com 479-761-3325 With 2,500 unspoiled acres adjoining the Ozark National Forest, this park is a favorite for camping, hiking, backpacking, horseback riding and mountain biking. A swimming pool, nature programs and cabins add to its rustic appeal. popular. Activities throughout the 786-acre park include camping, swimming, baseball, softball, tennis and picnicking. Canoeing is another favorite pastime, and shuttle services for canoe rentals are available. The park has a visitor center and gift shop. PRAIRIE GROVE BATTLEFIELD STATE PARK See page 65 in the History & Heritage section. CYCLING & HIKING TRAILS With an impressive array of trail systems that continue to evolve, Northwest Arkansas is an emerging international destination for mountain bikers, cyclists and hikers alike. shopping areas, schools and workplaces. James Turrell’s “Skyspace,” with its colorand light-enhanced sky views at sunrise and sunset. Springs RV Park and Campground. park for tricks, and 16 skinny Northshore log rides. An IMBA designated Silver Level Ride Center, trails here are considered easy to moderate to navigate. has all the bells and whistles. Lake Atalanta, featuring singletracks with swooping bridges, steep short climbs and gravity cavities. enjoyed by riders of various skill levels. 11840-11850 Peach Orchard Road Bentonville / oztrailsnwa.com Located a mile west of downtown Bentonville on land designated as a mountain bike preserve, Coler includes flowy jump lines and challenging technical rocky sections that culminate near the top of a mountain. proven to separate the pros from the joes. cyclists build fun bike handling skills. Park was recently rejuvenated adding new singletrack mountain biking trails, a pump track, dog-friendly hiking trails and a skills course. parks.berryville.com Open year-round, Pension Mountain’s multi-use trails were developed on a natural spring preserve and lead you through Ozark back country with scenic views of bluffs and mountainous forests. of mountain bike trails on its 700-acre wooded complex. Explore the interactive experiences in science, technology, engineering, art, and math at the Scott Family Amazeum. It’s your destination for a family play-cation. I-49 Exit 88 E Central Ave. | 1009 Museum Way | Bentonville, AR | 479-696-9280 The Amazeum is open every day except Tuesday, Thanksgiving Day, Christmas Eve Day, Christmas Day and New Year’s Day from 10 am to 5 pm - Sunday 1 pm to 5 pm. From themed gardens to native woodland plants and historic springs, Northwest Arkansas preserves and adds to the outdoor beauty of the Ozarks. Cherokee people during the Trail of Tears. BOTANICAL GARDEN OF THE OZARKS 4703 N. Crossover Road Fayetteville bgozarks.org / 479-750-2620 Showcasing the beautiful plant life of the region, Botanical Garden of the Ozarks draws more than 80,000 visitors each year. BGO features 12 themed gardens and the state's only butterfly house. Consistently voted The Best Place to Get Married in the region by CitiScapes magazine, itâ&#x20AC;&#x2122;s also a destination for corporate events and celebrations of all kinds, as well as a regional resource for educational programs. The Botanical Garden of the Ozarks is a unique collection of 12 themed gardens and the state’s only butterfly house. The garden offers exceptional programs and events for people of all ages throughout the year. Located on Lake Fayetteville and the Razorback Greenway trail system, the botanical garden is a perfect place to learn, celebrate and enjoy the beauty of the Ozarks. DAREDEVIL FUN Adrenaline junkies find plenty of excitement in Northwest Arkansas with ziplining, helicopter rides and whitewater rapids. satisfy the thrill seeker in you. friendly and alcohol free. Users are strongly encouraged to wear life jackets and river shoes. Can be floated throughout the year. INTO THE WILD Tour the deep underground wonders of the Ozarks and visit the exotic animals that find refuge in Northwest Arkansas. Take time to enjoy the flight of our country’s national symbol amid a natural setting. rock shop. Motorcycle parking available. wareaglecavern.com / 479-789-2909 This private show cave features a spectacular natural entrance on the shores of Beaver Lake. accommodations or RV/camp sites. Follow Turpentine Creek on social media for regular updates, photos, videos and more! Shack. Open Monday through Saturday, 11 a.m.
to 5 p.m. Stroller and pet friendly. eagle watching and fall foliage tours. SCENIC RIDES Sightseeing highways are plentiful in Northwest Arkansas. Pig Trail (Ark. 23), Beaver Town Bridge (Ark. 187) and more. War Eagle Cavern on Beaver Lake. cars, originally from the 1920s to the 1950s, while conductors enhance the journey with anecdotes about the areaâ&#x20AC;&#x2122;s rich history. The passenger train travels to the top of the scenic Boston Mountains and across the historic Arkansas River Basin. The excitement of college sports, minor league baseball, pro golf tournaments, rodeos, fishing competitions and more draws huge crowds to Northwest Arkansas. And there is plenty of recreation you can take part in at area golf courses, aquatic centers and special sporting events. The U of A Razorback sports programs and Northwest Arkansas Naturals baseball team fill up area stadiums with excited fans. whether rooting for Razorback football, basketball, baseball, track and field, gymnastics, women’s volleyball, soccer, swimming and diving, or a myriad of other sports programs. NORTHWEST ARKANSAS NATURALS 3000 Gene George Blvd., Springdale nwanaturals.com / 479-927-4900 The Naturals are the Double-A Affiliate of the Kansas City Royals and play at state-ofthe-art Arvest Ballpark in Springdale, which is centrally located off of I-49. The regular season consists of 70 home games and runs from April until September. Catch the Fireworks Spectacular on Fridays, Premium Giveaways on Saturdays, or the Kids Eat FREE Family Sundays. PUBLIC GOLF COURSES Scenic beauty, rolling hills, hardwood forests, pristine streams, and a moderate year-round climate make Northwest Arkansas a natural golf destination. Tee off at any of these public courses. nine-hole executive golf course (Brittany). has a view for miles. The pro shop, grill and lounge are open seven days a week. game area and sports bar. range and snacks are available. SPLISH SPLASH When the warm, sunny days of summer come calling, Northwest Arkansas has plenty of splash zones to keep you cool. One even transforms into an ice rink in the winter, meaning the fun never ends. rink. Catch a free movie on a giant blow up screen, or dress up for a themed night for added fun. 1800 N. Mt. Olive St., Siloam Springs siloamsprings.com / 479-524-2936 Spend a summer afternoon at the Siloam Springs Family Aquatic Center. Enjoy newly renovated curvy slides and a large pool to play in at this summer oasis. Jump off the diving board or wade into the zero-depth entry main pool. The separate 6,000-gallon baby pool has plenty of space for little ones and a fun waterfall splash feature. private party rentals are also available. during designated times. Enjoy a shaded picnic area and concession stand. park is one of the most historic in the city and is also home to a skate park, sand volleyball court, tennis, basketball, soccer, disc golf, picnic areas and pavilions, playgrounds and other amenities. EVENTFUL SPORTS Run, fish, golf or bike! Thereâ&#x20AC;&#x2122;s always something competitive going on in Northwest Arkansas. This official LPGA tour returns June 24-30, 2019, for its 13th year of celebrating the community spirit of Northwest Arkansas. purse at Pinnacle Country Club in Rogers. Eight races, three days, one historic festival. challenges and casual, family friendly rides. after the race set for Oct. 5, 2019. 2019, consists of a triathlon, the Gran Fondo bike rides and running races. Participants can enter individual events or challenge themselves with The Eurekan or the Half Eurekan. April 6, 2019, in beautiful Northwest Arkansas. dinner and expo round out the weekend. From Ice Age artifacts to the first home of a U.S. President and former Secretary of State, Northwest Arkansas offers a variety of museums, Civil War battlefields and historic places. Whether for research, education or thought provoking entertainment, visitors will find a number of ways to relive defining moments in time. HISTORICAL SITES, MUSEUMS & MONUMENTS Trace our intriguing past and visit the places where history happened. Explore the museums, exhibits and landmarks that are a testament to our region’s rich cultural heritage. historic aircraft – many of which still fly. trails for horses, biking and hiking. museum grounds. Admission is free. daisymuseum.com / 479-986-6873 Enjoy a chronological presentation of Daisyâ&#x20AC;&#x2122;s history and view the extensive collection of antique airguns, packaging and vintage advertisements. Baby Boomers can reminisce about their first Daisy BB gun and view the prototype from the classic movie A Christmas Story. with the first Americans through the early European influence. View some of the finest ancient artifacts of early man: brilliant headdresses, artistic effigy vessels, the famous Sweetwater Biface, and an Ice Age Wooly Mammoth. Audio wands are available for self-guided tours. Admission is free. the Calif House, built in 1889. Its mission is to collect, preserve and exhibit the documents, photographs and artifacts pertaining to the history of Eureka Springs. See the colorful past of this unique town and the people who lived here through a fascinating collection of papers, photographs, mementos, official documents, home furnishings and other items on display. events and is a popular wedding venue. many other facets of the cityâ&#x20AC;&#x2122;s history. 105 N. Main St., Bentonville walmartmuseum.com / 479-273-1329 The story of Walmart comes alive at The Walmart Museum housed in the original Walton’s 5&10 store on the Bentonville square. Visitors can experience a piece of Sam Walton’s history in a real, functional storefront, along with a replica of Sam’s office, his trusty old Ford truck and other memorabilia. Also enjoy hot and cold beverages as well as ice cream, malts, sundaes and more at The Spark Café Soda Fountain. 1270 Leroy Pond Drive, Fayetteville arkansasrazorbacks.com 479-575-3755 The Tommy Boyer Hall of Champions Museum (Razorback basketball and all other sports) is located inside the south entrance of Bud Walton Arena, and the Razorback Women's Sports Museum is inside Barnhill Arena. Visit the official store of Razorback athletics, Hog Heaven, located inside Bud Walton Arena for all your Razorback apparel needs. Visitor parking is in Lot 60, across from the entry into the store. friendly hands-on exhibitions and a children’s gallery. Take a walk through the 1895 Hawkins House and enjoy views of the apple orchard, or check out one of the special events or programs. 930 W. Clinton Drive, Fayetteville clintonhousemuseum.org 479-444-0066 The first home of Bill and Hillary Clinton, this museum promotes the legacy of their commitment to public service and civic engagement for local, national and international visitors alike. The grounds also include the First Ladies Garden and a store featuring items related to the Clintons as well as Arkansas history and politics. who served in the military from 1776 to 2006. Festival, now in its 121st season – all housed in the former home of Mary and Zelinda Bastianelli, sisters and original settlers. 11045 War Eagle Road, Rogers wareaglemill.com / 866-492-7324 A visit to the state’s only operating mill provides a taste of the pioneering spirit of the 1800s. The mill is home to the Bean Palace Café, an 18-foot waterwheel and beautiful scenery. The War Eagle Bridge, a one-lane steel bridge originally built in 1907, adjoins the mill and is listed on the National Register of Historic Places. fishing, paddle boarding and kayaking. Wednesday through Sunday, 1 to 5 p.m.
comfort of Louise – a modern all-day cafe. NORTHWEST ARKANSAS comes together for fun and festivity in a variety of ways â&#x20AC;&#x201C; to taste a foamy brew, fly a kite, or celebrate Christmas. All of these events add to the region's colorful and vibrant culture. COMMUNITY FESTIVALS From lively festivals and vibrant arts and crafts fairs, to farmers markets, holiday light displays and more, there’s a festival or event for everyone! It's a bird! It's a plane! It's the Kite Festival! Firefly Shoppe add to the festivities. held at a big cat sanctuary. BIKES, BLUES & BBQ Downtown Fayetteville & Northwest Arkansas bikesbluesandbbq.org / 479-527-9993 The largest charity motorcycle festival in the country draws hundreds of thousands to the region. Set for Sept. 25-29, 2019, highlights include poker runs, parades and bike shows, scenic rides, demos and plenty of vendors – plus live music and award-winning barbeque. Festivalgoers love the rumble of motorcycles in all makes and models – from stock bikes straight off the lot to individually customized choppers. vintage items. Don’t miss the Dogwood 5K Run, Bed Races on Broadway, music and entertainment, food vendors and the KidZone. WESTERN ROUNDUP DAYS Downtown Huntsville huntsvillear.org Held in July in conjunction with the Madison County Rodeo, Huntsville celebrates its heritage for a full week during Western Roundup Days. Includes a Dutch oven cookoff, gospel singing, a Kids Night and a rodeo parade downtown. 3303 S. Pinnacle Hills Pkwy. John Q. Hammons Center, Rogers dnbbgcm.com / 479-636-1200 Teams that compete in a state match are eligible for the Daisy Championship, which is typically held in July. Young people ages 8 to 15 qualify annually for the 5-meter team BB gun competition. They shoot a muzzleloaded, single-shot BB gun named the Daisy AVANTI Champion Model 499. Downtown Rogers mainstreetrogers.com / 479-936-5487 Crowds from all over have enjoyed the Frisco Festival for more than three decades. Located in the Rogers Historic District, this family friendly festival is named in honor of the city’s rich railroad heritage and includes a kids zone, live music, delicious food, car shows, crafts and more. Held annually at the end of summer. eurekaspringsvwshow.com 479-435-1133 This three-day festival includes an awards show, a swap meet, and a parade with every style and color of VW you can imagine. Typically held in August, this is one of the biggest Volkswagen events in the Midwest. Downtown Eureka Springs & Fayetteville outineureka.com experiencefayetteville.com The artsy city of Eureka Springs celebrates diversity in the Ozarks with two festivals each year: one in spring and the other in summer. In June, Fayetteville hosts the Northwest Arkansas Pride Parade and Festival, the largest LGBTQ pride celebration in the state. Downtown Eureka Springs eurekaspringsmardigras.org Arkansas’ largest Mardi Gras festival features jazz music, lively parades, masquerade balls, costume contests, and authentic New Orleans-style food during a month-long celebration. northwestarkansas.org Raise a stein at any one of the region’s annual Oktoberfest celebrations! Festivals in Fayetteville, Springdale, Siloam Springs and Eureka Springs are a great way to explore local craft brew scene. discoverbellavistaar.com Bella Vista celebrates its Back 40 trail system at this annual event typically held in November with a day of cycling, hiking, running, bird watching, native plant identification and more. The fun also includes live music, good eats and a bike expo. eurekasprings.org Eureka Springs has a month-long lineup of hair-raising events in October! From big cats in the dark at Turpentine Creek Wildlife Refuge and the 7th Annual Eureka Springs Zombie Crawl to whispers in the walls at the haunted 1886 Crescent Hotel & Spa â&#x20AC;&#x201D; youâ&#x20AC;&#x2122;ll want to add these paranormal, creepy and frighteningly fun events to your spooky agenda this year! Fayetteville / homegrownarkansas.com Not to be confused with the Siloam Springs Homegrown Festival, this event takes place at Mount Kessler in Fayetteville and includes live entertainment, inventive games, sports, and sustainability education. The festival is usually held in June and admission is free. FARMERS MARKETS Farmers Markets in Northwest Arkansas are pleasing to the palate, eyes and ears. Most open in spring and serve customers into fall. Some move indoors during the winter and remain open year-round. BELLA VISTA Sugar Creek Center / bellavistaar.gov Mid-April to October / Sunday 9:00 a.m. to 2:00 p.m.
BENTONVILLE Historic Downtown Square / downtownbentonville.org April to October / Wednesday at 8th Street Market Under the Vine / Saturday at Downtown Square / 7:30 a.m. to 1:00 p.m.
FAYETTEVILLE Historic Downtown Square / fayettevillefarmersmarket.org April to November, Saturday 7:00 a.m. to 2:00 p.m. / April to October, Tuesday and Thursday 7:00 a.m. to 1:00 p.m. / Indoor at Ozark Natural Foods: December to March, Saturday 9 a.m. to 1 p.m.
ROGERS Historic Downtown Rogers mainstreetrogers.com/farmers-market May to October / Select Winter Dates Saturday 9 a.m. to 1 p.m.
SPRINGDALE The Jones Center Memorial Walk Plaza springdalefarmersmarket.org May to October / Tuesday, Thursday and Saturday 7:00 a.m. to 1:00 p.m.
SILOAM SPRINGS Downtown City Park mainstreetsiloam.org/farmers-market April to October / Tuesday 3:00 p.m. to 7:00 p.m. and Saturday 8:00 a.m. to 1:00 p.m. / Order Online Sunday through Wednesday / Pickup Saturday 9-11 a.m.
Northwest Arkansas has a diverse palate for outstanding culinary fare and libations, and we like to show it off with these fun food and drink festivals and events. Feed your inner foodie! around a true Southern delicacy: crawfish! corn and potatoes boiled to perfection. Arkansas. Set for June 26-28, 2019.
beer and community at Frost Fest on Feb.
eats. Set for May 5, 2019. Judging entries on color, aroma, consistency, taste and aftertaste, the fourth annual Fayetteville Gumbo Cookoff is set for March 9, 2019. Grab a taste for yourself, or whip up your family recipe and enter the competition. Typically held in November, experience the culinary excellence of Eureka Springs. Local restaurants expertly pair their chefsâ&#x20AC;&#x2122; signature courses with perfectly selected wines. With other happenings like cooking classes and special dinner menus, get ready to eat your way through downtown! Typically held in summer, this fourth annual street dinner is served under the stars, right in the middle of downtown. Join your friends and neighbors for a family-style meal, live music and stories about Springdale. ureka Springs Great History. Great Steaks. Experience our new dining room! The hills are alive with hundreds of thousands of craft fairgoers each spring and fall in Northwest Arkansas. Spring dates for 2019 are in May, and fall dates are in October. Check with individual shows for exact dates and times. 11045 War Eagle Road, Rogers / wareaglemill.com 479-789-5343 / Oct. 17-20 Juried artists and craftsmen set up on the War Eagle Mill grounds. WAR EAGLE FAIR 11037 High Sky Inn Road, Hindsville / wareaglefair.com 479-789-5398 / Oct. 17-20 More than 250 booths along the banks of the War Eagle River. SPANKER CREEK FARM ARTS & CRAFTS FAIR 8464 W. McNelly Road, Bentonville spankercreekfarm.com / 479-685-5655 / Oct. 16-20 In a farm setting alongside Spanker Creek. Twin Springs Park, Siloam Springs / mainstreetsiloam.org 479-524-4556 / Early October Handmade, curated, vintaged and repurposed items; activities include kayaking on Sager Creek. 1991 Forest Hills Blvd. / bellavistafestival.org 479-855-2064 / Fall Since 1969, only the highest quality items, always handmade. 11022 War Eagle Road, Rogers / nwacraftfairs.com 479-789-5683 / Spring and Fall Showcasing work by skilled artisans from around the country. FRISCO STATION MALL ARTS & CRAFTS FESTIVAL 100 N. Dixieland Road, Rogers / nwacraftfairs.com 479-631-0006 / May 3-5 and Fall Located indoors at the Frisco Station Mall. Benton County Fairgrounds / vintagemarketdays.com April 12-14 and Fall Vintage-inspired items include home décor and furnishings. HEART OF ROGERS CRAFT FAIR Historic Downtown Rogers / godowntownrogers.com / Fall Arts and crafts along the brick streets of downtown. From Thanksgiving through the New Year, enjoy holiday lights displays and Christmas celebrations across Northwest Arkansas. Cities host ceremonies, parades and open houses in shopping districts, while Santa makes his first appearances of the season. LIGHTS OF THE OZARKS Downtown Fayetteville experiencefayetteville.com This award-winning winter wonderland kicks off with a parade that brings nearly a half-million twinkling lights to life on Fayetteville’s historic downtown square. Downtown Rogers mainstreetrogers.com / 479-936-5487 Head downtown for the 35th annual Rogers Christmas Parade featuring dozens of floats, marching bands, carolers and families. Downtown Siloam Springs siloamspringsheritageleague.com With the wave of a magic candy cane, thousands of lights illuminate downtown. Stick around for a parade with lighted floats, bands, dance troupes, fire trucks and antique cars. Downtown Eureka Springs eurekasprings.org This historic arts enclave known for its Victorian architecture hosts a bevy of holiday events, including a Candlelight Tour of Homes, an annual Silver Tea, a Christmas parade, and a holiday decorating contest. CHRISTMAS ON THE CREEK Downtown Springdale downtownspringdale.org With the region’s largest live Christmas tree, this festival includes carolers, food trucks, a winter market and the annual Rodeo of the Ozarks Christmas Parade. HUNTSVILLE: A HOMETOWN CHRISTMAS Downtown Huntsville /huntsvillear.org Held on Polk Square with a community dinner, joyful carolers, a Christmas train for children, photos with Santa, and that magical moment during the lighting ceremony when the bulbs come to life! Downtown Bentonville downtownbentonville.org One of the largest daytime Christmas parades in the state! The fun takes place in Bentonville’s vibrant downtown, with horsedrawn carriage rides and ice skating. berryvillechamber.com The entire town comes together to celebrate with floats, decorated bikes and dazzling equestrian groups at the annual Berryville Christmas Parade. Held on the public square. 312 N. Main St.	504 Memorial Drive	6386 Ark. Hwy. 21 N. Various Locations	Various Locations 1905 Madison 1305	1423 E. Emma Ave.	1009 Museum Way	12968 U.S. 62 West	239 Turpentine Creek Ln. 21494 Cavern Rd. ADDRESS	91 S. Main St	321 E. Emma Ave.	310 W. Dickson St	465 Arkansas Ave.	26 White St. Most dining options listed are advertisers; additional options may be found on member-city websites linked through NorthwestArkansas.org. ADDRESS	116 S. 2nd St.	5079 W. Northgate Rd. 935 Passion Play Rd. 505 / 477 W. Spring St.	902 S.W. 2nd St., Ste. F	University of Arkansas	495 W. Dickson St.
See pages 40-42 for a listing of art related events. SPORTING EVENTS See pages 62-63 for a listing of sports related events. See pages 70-78 for a listing of community festivals and special events taking place throughout Northwest Arkansas. ADDRESS	University of Arkansas	Various Locations	1101 S.W. Citizens Circle	365 U.S. 62 West	1499 S. Main St.	1800 N. Mt. Olive St.	1 Country Club Dr.	922 E. Emma Ave.	215 S.W. A St.	2000 N.E. Memorial Park Square	3000 Gene George Blvd. 1707 S. 26th St.	1100 Watson Ave.	3495 E. Goff Farm Rd. 10 W. 15th St. ADDRESS	200 N.E. A St.	75 Prospect Ave.	12 Spring St.	18 Mason Ln. Most lodging options listed are advertisers; additional options may be found on member-city websites linked through NorthwestArkansas.org. NWA VISITOR INFORMATION CENTERS See page 11 for a listing of NWA Visitor Information Centers. Meet the Natives. Explore our Heritage. The home of one of the first Bentonville families, this Italianate Victorian was built in 1875 and now serves as a museum portraying Victorian era life. Surrounded by heritage strolling gardens, this historic landmark makes a great wedding setting. Visit the authentic pre-Civil War cabin and Museum Store while you are here. Tours offered Tuesday – Saturday 10am – 3pm. 400 South Walton. Blvd. Visit America’s Premier Big Cat Sanctuary Today! A “Top Ten” Northwest Arkansas Attraction and Ethical Animal Tourism Destination!